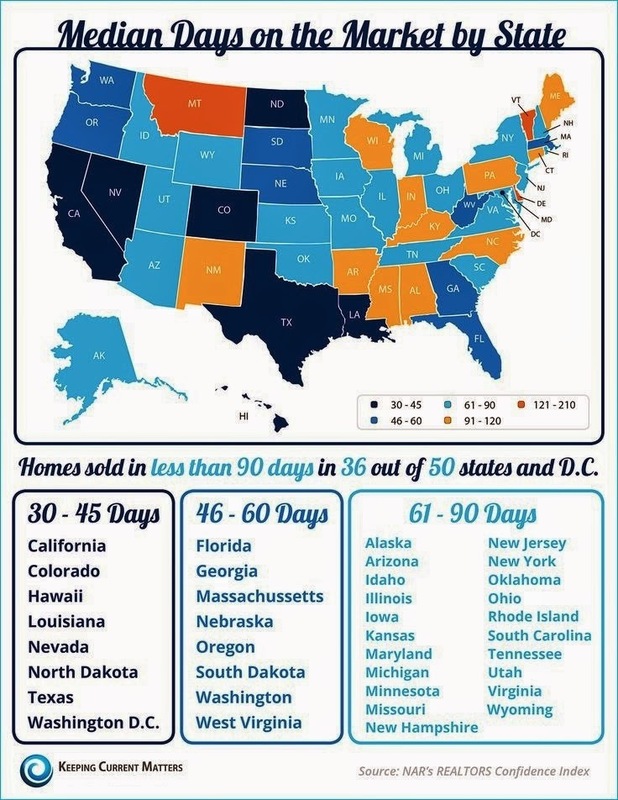 How Fast are Homes Selling in Texas? Faster Than Quick Draw McGraw! From what I’m hearing, it’s the moderate to mid-priced homes (up to $1.2 million) that are selling the fastest — anything within the 636 Loop, Park Cities, Preston Hollow, Midway Hollow, Lakewood, Hollywood Heights, M Streets, Bluffview, North dallas south of LBJ. Preston Trails taking a little longer. Plano and Frisco on fire (you know what I mean). What areas are you hearing that are hot, what areas are not? 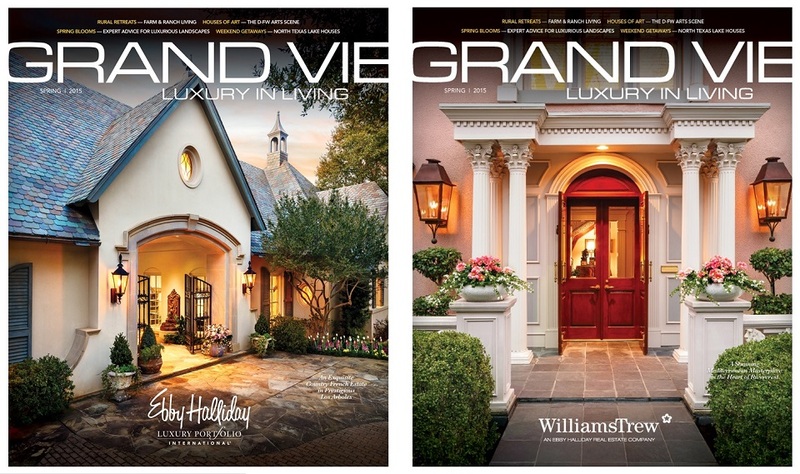 The newest edition of Grand Vie will feature a column by Candy and tons of great Fort Worth homes from Williams Trew! To say that we are thrilled about the pending arrival of the new Grand Vie: Luxury in Living magazine is a gross understatement. Of course, we’re always excited to see Candy’s column, which talks about all the reasons North Texas lake houses are a great choice for a getaway. This time, though, we’re even more excited because this is the very first issue that shows off fabulous Fort Worth properties from Williams Trew! Denton made Kiplinger’s list of the top 10 towns you’ll want to live in. I’m sure Augusta, Ga., is really nice and all, but do you really want to live there? Isn’t it a better place to visit? That’s a pretty significant distinction, although several cities on the former list made it on the latter. While the cities are diverse in make-up and location, we’re happy to report that several Texas towns made the list, including Round Rock, Temple, Denton, and Corpus Christi. “New homes priced under $150,000 are rapidly disappearing from the market because of shrinking lot inventory, rising land and construction costs. There are just over 5,000 developed lots available for home in this price range and they are not being replaced. 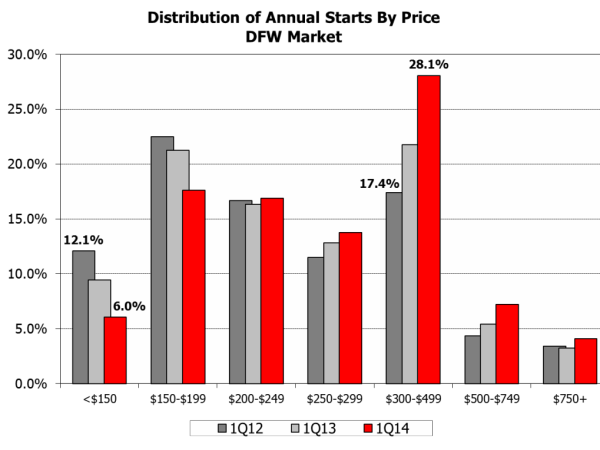 Only 2% of the new lot deliveries in Dallas-Fort Worth last year were for homes priced under $200,000. Buyers searching for a new home in this price range are being pushed to the existing home market in most submarkets. They may soon be forced to stay in the rental market,” said David Brown, Regional Director of Metrostudy’s Dallas Ft. Worth Market. 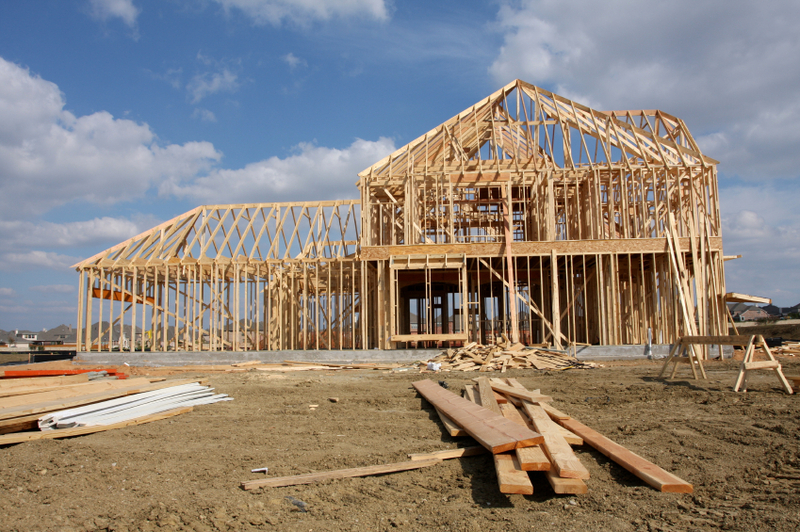 Steve Brown says that North Texas home starts were up 2 percent in the second quarter of 2014 from 2013, and that new home prices are soaring thanks to rising construction costs and ever-rising land prices.